Wowee. - You don't know me. And here's a dancing traffic officer. Marie was about to become the latest of Elliot's trophy wives. Those never work for me. Do you have the direct link so I can copy and paste it and open it in a different window? 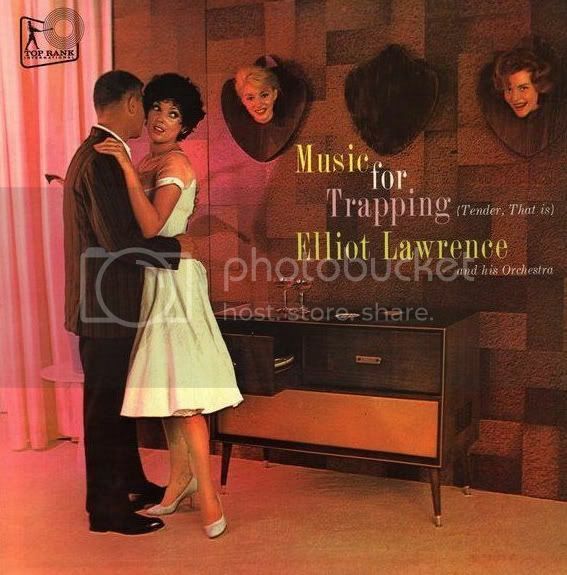 "In this collection Eliot Lawrence plays It Rubs The Lotion on Its Skin and other great hits!" LOL, isn't it messed up?! I'm trying to be happy about how far we've come since those days, but still...eeeew! "I hear you give great head." I'm pretty sure that officer is from my home state. I think that video is in Providence. And agreed. Amazing. I laughed so hard. When Janice went to her new boss' house for 'an informal discussion about your future', she realised what he meant when he described himself as a "Headhunter". At first glance I thought it said "music for tapping." Don't worry, it will be JUST like the 2nd Wizard of Oz! Barbara knew she'd gone wrong in dating the guy everyone loved. Soon, she'd join Kiki and Bonnie on the wall. That's the dancing cop in Providence. I have an office a block to the left of him and we see him when we go out for lunch. "But I don't wanna trap Elliot Lawrence. Or his orchestra"
Does he always dance like that? I stole it too. lol. ;) It's there for stealing. "I'm telling you, one of them keeps whispering my name!" "Wait a sec--WHERE'D THE MIDDLE ONE GO?!" He liked the middle one's head on this one's body but he still had one more to go.